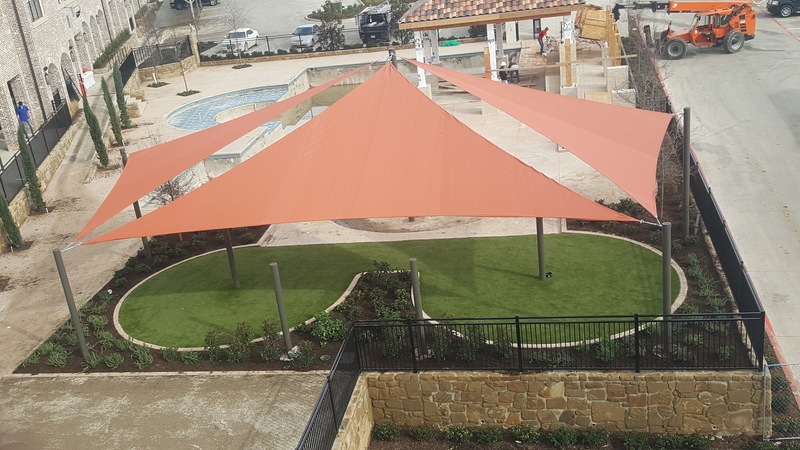 USA Canvas Shoppe is an international award-winning manufacturer of awnings, canopies, and shade structures that has served the Dallas-Fort Worth Metroplex, Texas, and the Southwestern United States for more than 50 years. Our canvas and metal products are custom designed specifically for your commercial and residential applications. We offer a variety of sun shade structures from hip and ridge tension systems to shade sails and louvered metal sun systems. We deliver superior quality products using state-of-the-art materials fabricated in-house and installed with our own experienced technicians. At USA Canvas Shoppe, we have experience providing commercial clients with a variety of awning options. Our projects include hospitals, parks, offices, restaurants, apartment complexes, small businesses, and other commercial buildings. We have designed, fabricated and installed window and door awnings, entrance canopies, shade structures and sails for break and smoking areas and much more. If you need for shade, call USA Canvas Shoppe to discuss your need. 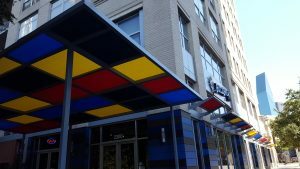 While the majority of the work we do is for commercial clients, USA Canvas Shoppe has also helped residential clients with their awning and canopy needs over the years. 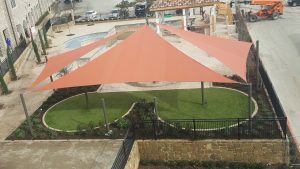 We can install custom fabric shade structures, patio covers, window awnings, vertical power screens, and more. All of our products are durable and long-lasting, saving you energy by providing your home with shade. Our awnings and canopies are made using either aluminum or steel and can be powder coated for a lasting finish.